In the early morning hours on 24 October 1968, United States Air Force (USAF) maintenance and security personnel within the Minuteman Intercontinental Ballistic Missile (ICBM) complex surrounding Minot Air Force Base, North Dakota, observed one, and at times, two UFOs. The Minot Base Operations dispatcher established radio communications with personnel reporting in the field, Minot AFB, Radar Approach Control (RAPCON), and the crew of a returning B-52H aircraft. RAPCON alerted the pilots to the location of the UFO, which they observed on the B-52 radarscope maintaining a three-mile distance throughout a standard 180° turnaround. As the B-52 initiated the descent back to Minot AFB, the UFO closed distance to one mile at a high-rate of speed, pacing the aircraft for about 20 miles before disappearing off the radarscope. During the close radar encounter, the B-52 UHF radios would not transmit, and radarscope film was recorded. Following, RAPCON provided vectors for the B-52 to overfly a stationary UFO on or near the ground. 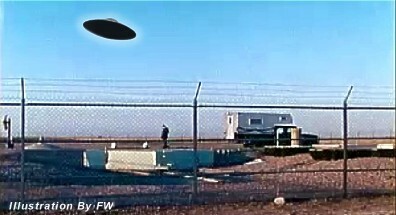 The pilots observed an illuminated UFO ahead of the aircraft during the downwind leg of the traffic pattern, before turning onto the base leg over the large UFO while observing it at close range. After the B-52 landed, both outer and inner-zone intrusions alarms were activated at the remote missile Launch Facility Oscar-7. The duration of reported observations was over three hours. Strategic Air Command (SAC), Offutt AFB, Nebraska, initiated investigations. In the weeks following, staff at USAF Project Blue Book, Wright-Patterson AFB, Ohio, completed a final case report as required by Air Force Regulation 80-17.